Sun Valley HS's football team had quite the weekend. Last Friday, Sun Valley coach Greg “Bubba” Bernhardt wanted his players to share in a special experience. Sun Valley was on the wrong end of a wrong game. The Vanguards went to Massillon Washington High School, in Massillon, Ohio, located on Paul E. Brown Drive, where they play in Paul Brown Tiger Stadium, which is better than every local college stadium, save Franklin Field. Massillon has an indoor practice facility that can rival Ohio State’s. Sun Valley dressed 37 players. Massillon dressed 96, according to Bernhardt. Massillon is ranked No. 49 in the country, according to MaxPreps. Sun Valley, 6,140th. Massillon is an Ohio school with a long, rich football tradition. Legendary coach Paul Brown went to Massillon, as did Harry Stuhldreher, one of Notre Dame’s legendary Four Horsemen, former Ohio State coach Earle Bruce and Ohio State All-American linebacker Chris Spielman. It’s where they genuflect to statues of Woody Hayes and sing blessings to the Buckeyes. You read that right. Massillon (8-0) scored 56 points in the second quarter. The Tigers led 73-6 at halftime, on a 43-yard touchdown pass to one of their Division-I wide receivers. Massillon led, 94-6, after three, and broke 100 on a 77-yard TD run in the fourth quarter. Julz Kelly, Sun Valley’s top player, scored the Vanguards’ lone touchdown on an 81-yard pass from Anthony Ellis in the second quarter. Unfortunately, Kelly, who accounted for 134 yards of total offense, hurt his hand on the play and the Vanguards’ lone homerun threat was gone. Afterward, Bernhardt received no apologies from Massillon coach Nate Moore, no excuses, just a handshake and “good luck.” Though as Bernhardt approached his locker room, the referees, all Ohio officials, were there to greet Bernhardt and apologize for what they just witnessed and to commend the team and coaches for keeping their cool. When inquiring about the game everyone from Massillon ran faster than their players did last Friday night. Tigers’ coach Nate Moore couldn’t get off the phone quick enough Tuesday morning when informed the person on the other end was from the Philadelphia media. Moore diverted all calls about the game to Massillon superintendent Paul Salvino. “The educator” did not return numerous requests to respond. Maybe Salvino, a former Massillon player and coach, was watching another game. Bernhardt did his research. He just didn’t think another high school football coach/program would run it up like that. Sun Valley (3-5) is a decent, average team—for this area. The local folks told Bernhardt this is the best Massillon team in 20 years. They had to put their “big-boy pants” on to prove it by beating a small school like Sun Valley by 95 points. 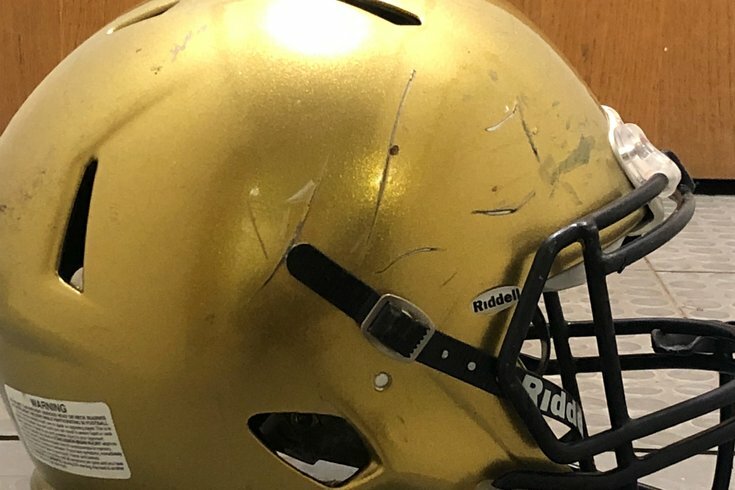 “The game officials made it a point to commend our staff and our team for basically staying calm and keeping our cool, because if Massillon had done that to a team around there, they told me, they would have had a bench-clearing brawl,” Bernhardt said. “They told us we handled it with class and we kept our cool. That’s what I’m most pleased about. My kids reacted well and with class. [Massillon] ran it up. That’s on them, even though they didn’t think they did anything wrong. “Well, you’re up 66-6, why are you throwing a 43-yard touchdown pass to one of your Division-I receivers to make it 73-6? Why are you running laterals to a Division-I player on the opening kickoff of the second half, up 73-6? They had the ball on their 20, with 2:12 left, why not take a knee? They didn’t. It was 94-6, and you could have put a fourth-grader in there, hand him the ball and he was gone. Bernhardt’s initial intention was to get his players a game away from the area. Massillon offered a $1,000 and a stay in a local motel, which presented the Sun Valley team and staff a visit to the Pro Football Hall of Fame, in nearby Canton, Ohio. “We got to visit the hall on Thursday, it was awesome for the kids,” Bernhardt said. “Everything about the trip was awesome—except the game itself. But you wouldn’t think in a million years something like that would happen, because I don’t know any coaches around here that would do what happened to us. Even if they stopped the game at halftime, 73-6, I would have been fine with that. But to continuously run it up, well, that’s different. Sun Valley walked away with one consolation: The loss did not set a Pennsylvania record for the largest high school margin of defeat. That occurred over 100 years ago, according to MaxPreps, when Tamaqua beat St. Clair, 194-0, in 1915. Too bad time ran out on Massillon. Under consideration: Academy Park 7-1, Truman 7-1, Penn Wood 7-1, Radnor 6-2, Haverford High 7-1, Springfield (Delco) 6-2, Spring-Ford 7-1, Upper Darby 7-1, Upper Dublin 6-1, Pottsgrove 8-0.